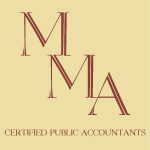 Masimore, Magnuson & Associates, PC is a public accounting and consulting firm of experienced professionals who provide comprehensive tax, audit and financial reporting, bookkeeping, and consulting services. Work For Masimore, Magnuson & Associates, PC? Claim This Page.